OAKLAND, Ca. -- The California stem cell agency yesterday handed out $75 million, doubling down on a couple of efforts to develop a stem cell therapy and a stem cell tool, plus funding an expansion of its Alpha Clinic network with two new, Northern California sites. The awards bring to $2.34 billion that the nearly 13-year-old agency has committed to stem cell research. The awards also leave the agency with $414 million in uncommitted funds. The state research program, formally known as the California Institute for Regenerative Medicine (CIRM), expects to run out of cash for new awards in less than three years. The clinical program awards yesterday targeted such afflictions as diabetes, brain cancer and sickle cell anemia. One award of $20 million set a new mark for one CIRM-funded project. That award went to Viacyte, Inc., of San Diego, bringing to more than $71 million that the agency has pumped into the firm, the largest amount provided to any single project. The firm is seeking to create an implant that would basically be a virtual cure for diabetes. Also reinforced with more millions was Humacyte, Inc, of North Carolina. It received $14.1 million for its stem cell tool on top of the $10 million it has already received. The firm is working on a new type of "lifeline" for kidney disease patients undergoing hemodialysis. The agency's Alpha Clinic Network received a $16 million infusion, split between two new sites, one in Sacramento and the other in the Bay Area. The latter is a joint effort involving pediatric work and UC San Francisco and Childrens' Hospital Oakland. The other award went to UC Davis, whose stem cell program is located in neighboring Sacramento. The Alpha network already has three sites in Southern California at City of Hope, UC San Diego and UCLA/UC Irvine. Cedars-Sinai in Los Angeles lost out on its bid to be added to the Alpha network. The agency had allotted only $16 million to the expansion under its strategic plan. Directors have been loathe to add more funding to the plan. City of Hope, $12.8 million, PI Christine Brown, a Phase 1 CAR-T trial targeting an aggressive brain cancer called malignant glioma. Nohla Therapeutics Inc., Seattle, Wa.,$6.9 million, a Phase 2 trial dealing with neutropenia, a condition that leaves people susceptible to deadly infections after receiving chemotherapy for acute myeloid leukemia. Forty Seven Inc., Menlo Park, $5 million, a Phase 1b clinical trial treating acute myeloid leukemia. Stanford, $5.2 million, PI Matthew Porteus, preparatory work for a clinical trial on a genome editing technology to correct the sickle cell disease mutation. Here are links to summaries of the reviews of each application: UC Davis, UCSF/Childrens' Hopsital, Cedars-Sinai, Viacyte, Humacyte, City of Hope, Nohla, Forty Seven, Stanford. Maria Millan at CIRM board meeting today, following her appointment as new president. OAKLAND, Ca. 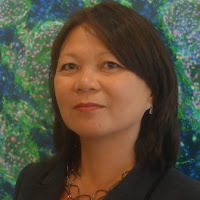 -- Maria Millan, who joined the California stem cell agency five years ago, this morning was named as president of the $3 billion enterprise as it moves into what may well be its last three years. Millan, who was serving as interim president, was unanimously approved by the governing board of the California Institute for Regenerative Medicine (CIRM), as the agency is formally known. CIRM Chairman Jonathan Thomas said he was enthusiastic about Millan when she was named interim president in June, when Randy Mills left. Thomas said he was "doubly enthusiastic" today and described Millan as the "right person at the right time." Millan was vice president for therapeutics and her appointment was expected. She will preside over the agency in what some have called the "final stage" of the organization. It has projected it will run out of funds for new awards in mid 2020. The agency is looking at various alternatives for future funding ranging from another bond issue, the agency's current financing, to possible some sort of merger or acquisition. Millan this morning said the agency had $414 million in uncommitted funds after awarding $2.34 billion. OAKLAND, Ca. -- Directors of the $3 billion California stem cell agency this morning opened their meeting at 9:07 a.m. as they were set to award roughly $80 million and name a new president. David Martin was introduced as the latest member of the 29-person board. Martin is chairman and CEO of AvidBiotics Corp . of South San Francisco. 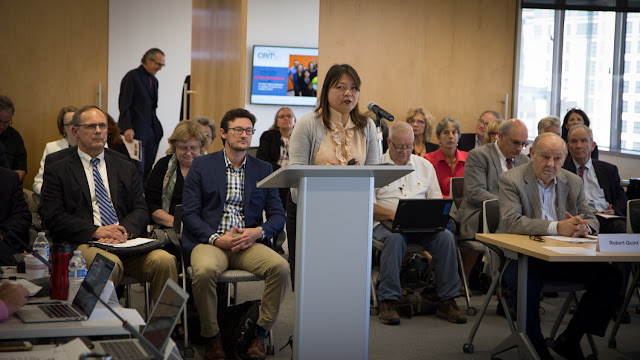 Several new, teleconference locations have been added to the list of those where the public can take part in tomorrow's meeting of the governing board of the $3 billion California stem cell agency. On the agenda is appointment of a new president for the agenda and the award of roughly $80 million to California researchers. Here is the latest list of locations apart from the meeting site at the agency's headquarters in Oakland. The agenda has more information regarding internet and audiocast access on a listen-only basis. The state of California is expected to plunk down roughly $80 million this week for stem cell research and clinical trials as it moves to widen their access and develop a therapy that fulfills promises to voters nearly 13 years ago. The awards are scheduled to be ratified Thursday during a meeting of the governing board of the California Institute for Regenerative Medicine (CIRM), as the $3 billion state stem cell agency is known. The largest chunk of cash consists of $64 million for six applications for help in clinical trials, the last stage before a therapy is approved for widespread use. Another $16 million is slated to go to expand the Alpha Clinic stem cell program, especially in Northern and Central California. NoA $7.9 million award is set to go to UC Davis, which won unanimous approval earlier from CIRM reviewers. Cedars-Sinai and UC San Francisco/Children's Hospital Oakland are likely to be competing for remaining $8 million. The stem cell agency was created in 2004 when voters approved a ballot initiative in a campaign that led voters to believe that cures were right around the corner. The agency has yet to help finance a therapy that has widespread application. CIRM is also down to its last $600 million or so and projects that it will run out of cash for new awards by mid 2020. The agency's governing board is examining its financial options. Action on the issue is scheduled to be taken in December. Also on the table Thursday is the approval of a new president for CIRM. Maria Millan, the interim CEO, is likely to get the job. The session will take place in Oakland but teleconference locations will be in the Los Angeles area, Stanford, La Jolla and San Diego where the public can also participate. The meeting can also be heard in an audiocast. Details and addresses can be found on the agenda. The California Stem Cell Report will provide gavel-to-gavel coverage of the Thursday meeting from CIRM headquarters in Oakland, filing updates as warranted throughout the day. By this time next week, California's $3 billion stem cell research agency is expected to have a new president to preside over what may be the last act for the nearly 13-year-old effort. "Consideration of appointment of new president, including compensation package." Preceding that is an executive session of the board to discuss the matter behind closed doors. The California Stem Cell Report is predicting that Maria Millan, currently interim president, is likely to get the job. Millan was named as the interim CEO after Randy Mills left the agency at the end of June. Mills publicly recommended Millan to replace him as head of the California Institute for Regenerative Medicine (CIRM), as the agency is formally known. A subcommittee of the governing board has met only once -- also behind closed doors -- to consider a replacement for Mills. The board made no public comment about the outcome that July meeting. Millan was vice president for therapeutics for the agency. A news release from CIRM said in May that Millan "was instrumental in developing and implementing the current strategic plan." 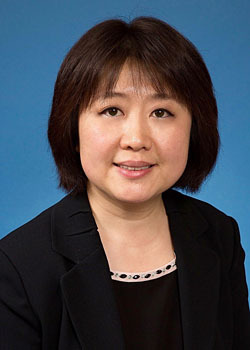 "She received her general surgery training and transplant immunology postdoctoral fellowship at Harvard Medical School and trained in solid organ transplantation at Stanford University School of Medicine, where she went on to serve as associate professor of surgery and ultimately director of the Pediatric Organ Transplant Program. Maria received her bachelor’s degree from Duke University and her M.D. from the University of Medicine and Dentistry of New Jersey." She joined the agency in 2012 after leaving a position as vice president at StemCells, Inc., which has received $9 million from the agency. CIRM has projected that it will run out of cash in mid 2020. Its governing board is currently studying a wide range of options for life after 2020.
them are of persons helped by the agency's clinical trials. Photo by The California Stem Cell Report. OAKLAND, Ca. -- Directors of California's $3 billion stem cell research effort are looking at ways to stave off the agency's death ranging from asking voters for billions more to being acquired by some sort of private entity. The choices came before a new Transition Subcommittee of the agency's governing board last Monday. It is considering options as the money runs out for the California Institute for Regenerative Medicine (CIRM), as the agency is formally known. Current projections estimate that cash for new awards will end in mid 2020. However, directors could alter the award rate and survive longer. That would shrink the flow of cash to possibly hundreds of researchers from Sacramento to San Diego. CIRM's funds come from money that the state borrows. The ballot initiative that created it in 2004 provided for $3 billion in state bond funding but no other significant revenue. The agency has roughly $650 million remaining. No directors at the meeting expressed support for simply letting financial nature take its course and permitting the agency to slowly expire. One option that seemed to attract significant interest would call for the agency to ask the legislature and the governor to place another multi-billion dollar ballot measure before voters in 2020. That option would involve the governor who succeeds Jerry Brown in 2019. Brown is wary of adding any height to what he calls California's "wall of debt." One possibility would involve another ballot initiative, a process that would not need approval of the legislature. However, under new state law provisions, the legislature is required to hold hearings on ballot initiatives. Such a process could result in changes in a proposed initiative. CIRM directors seemed to acknowledge that either going to the legislature directly or using a ballot initiative would likely mean significant changes involving the agency. Director Steve Juelsgaard said the result could be a "very different CIRM." The options considered this week also included private fund-raising. Some directors indicated that raising $200 million to $300 million a year was not entirely realistic. However, some combination of fund-raising and public support was also a possibility. The last-ditch option involved acquisition of the agency by another enterprise including possibly a venture capital driven entity. CIRM Chairman Jonathan Thomas said a possibility could involve an organization such as the Gates Foundation or the Wellcome Trust. He said California has a "tremendous asset" in CIRM and a "ton of IP(intellectual property)." Director Jeff Sheehy said he had "never heard of a state agency that was merged or acquired." "I wouldn't put my head in that noose," Sheehy said. California's stem cell agency this week took the relatively unusual step of a firing off a double-barreled salute to the beginning of one of its clinical trials -- a $20 million effort based out of UCLA. The press release and blog item heralded research by Antoni Ribas, who received the award in 2012 from the California Institute for Regenerative Medicine (CIRM), as the agency is formally known. 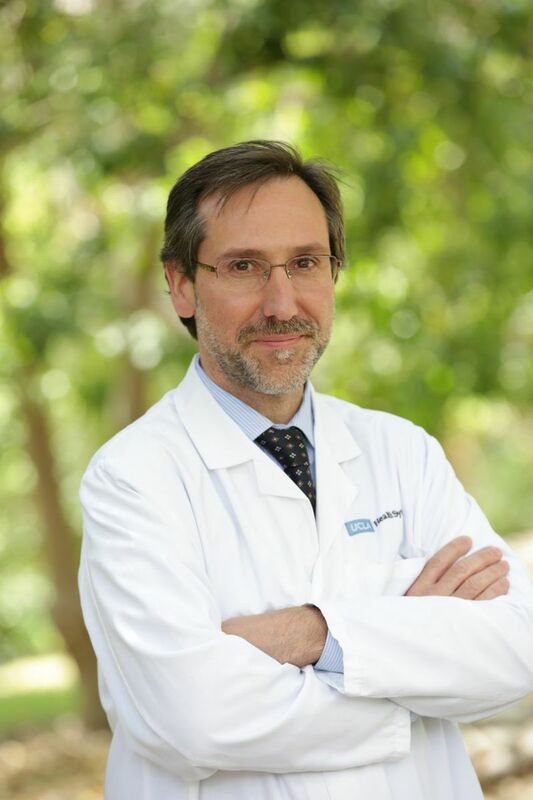 “Backed by rigorous science, the stem cell derived T cell immunotherapy being developed by Dr. Ribas and his team has the potential to address advanced cancers that have spread beyond the primary tumor and which are associated with very low survival. "The reality is this: the launch of a clinical trial isn’t a beginning. It represents many years of effort by many researchers and a lot of funding to take an idea and develop it into a tangible product that has been given clearance to be tested in people to potentially save their lives. That’s why this important milestone deserves to be recognized. More information on the award (DR2A-05309) can be found here. Persons interested in participating in the trial can contact Clinical Research Coordinator Justin Tran by email at justintran@mednet.ucla.edu or by phone at 310-206-2090. If you are interested in whether the $3 billion California stem cell agency is going to live or die, you may want to check in on a meeting one week from today. A new committee of the agency's directors that was formed to deal with transition issues is scheduled to meet for three hours next Monday to consider various scenarios and how the agency might deal with them. The impetus for the meeting is a projection that it will run out of cash for new awards in mid 2020 with no funding in realistic sight. One of the possibilities for extending the life of the agency is to curtail its award programs, which could possibly give the agency another one or two years of existence. The California Institute for Regenerative Medicine, as the agency is formally known, has roughly $650 million left but has been taking on clinical trials, some of which have been running $20 million a pop. 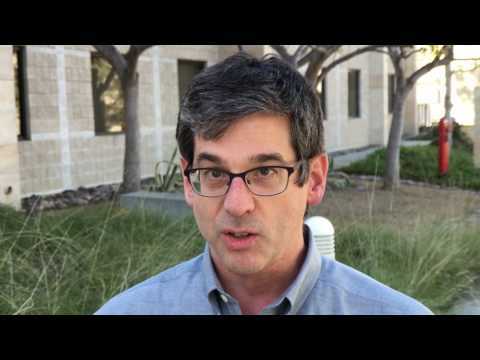 San Francisco Business Times: Can Clinical Trials Save California's Stem Cell Agency? Long, difficult and expensive -- that's how the San Francisco Business Times describes stem cell therapy development in an article about the 33 clinical trials currently backed by the $3 billion California stem cell agency. Will it all prove to be worthwhile? Reporter Ron Leuty addressed the matter in an Aug. 25, front-page piece that featured Tippi McKenzie of UC San Francisco. She recently received a $10.9 million award from the California Institute of Regenerative Medicine (CIRM), as the agency is formally known, to test her possible therapy on 10 pregnant women. "It’s also the sort of high-profile medical breakthrough that could give the state stem cell funding research agency momentum as it prepares to (possibly) seek billions in fresh money to extend its life beyond 2020." "Still, any potential treatments are years into the future. Are trials such as MacKenzie’s too little, too late to help CIRM? " "It’s all an illustration of the long, difficult and expensive path for bringing any drug to market. Only four of every 10 late-stage trials succeed, according to a 2016 Biotechnology Innovation Organization study of clinical trials from 2006 to 2015. As a relatively new field, in which regulators and companies are seeking a new pathway to Food and Drug Administration approval, stem cell therapies take eight years to translate into clinical trials; non-stem cell therapies take 3.2 years, according to CIRM Chairman Jonathan Thomas. That’s a potentially awkward narrative as eﬀorts ramp up to keep CIRM alive longer. " "CIRM can point to 33 projects that have reached clinical trials. For example, an $11.9 million grant to UCSF and St. Jude Children’s Research Hospital is paying for a mid-stage study in 'bubble boy disease.' The agency wants to fund another 40 clinical trials over the next four years, and it is pitching that scale and scope as a reason to keep CIRM going." "If anyone has a chance of showing CIRM’s value, it may be MacKenzie, an associate professor of surgery at UCSF’s pediatric surgery unit and head of its Fetal Treatment Center. Her lab since 2010 has been awarded $14.9 million in grants, including cash for basic research, translational research and now in the clinic. "CIRM is about more than funding for studies, MacKenzie said. Agency staﬀ has provided advice about how to translate animal studies into work in humans, she said, as well as hiring an FDA consultant, writing an investigational new drug application and setting up a clinical protocol. 'I’m a clinician, but running a clinical trial is diﬀerent,' MacKenzie said. 'CIRM’s been incredibly helpful in helping me navigate that.'"